The holidays are here! I can't believe Thanksgiving is already over. I know I'm going to blink and Christmas 2014 will have passed just as fast, but I'm going to enjoy it while it lasts!!! I love playing a good Christmas album in the background while decorating the tree, baking cookies, and enjoying family. Have you heard Elsa from Frozen made a holiday album?!?! Ok...maybe not Elsa in cartoon form, but Idina Menzel who voices her in the movie. Idina Menzel's Holiday Wishes album is the perfect addition to your holiday playlist. The songs are classic and her voice is smooth and on point (As you would know from hearing Let It Go a million times...and yet it never gets old!). Below is a little preview of the songs on YouTube. One of my favorite songs on the album is Baby It's Cold Outside featuring Michael Bublé. This song in general is one of mine and my hubsand's favorite holiday tunes (Plus, our First Dance song at our wedding was Everything by Michael Bublé). I really enjoyed this version of the song and love the video below even more! The video features two children dancing and lip-synching the song. Too cute!!! 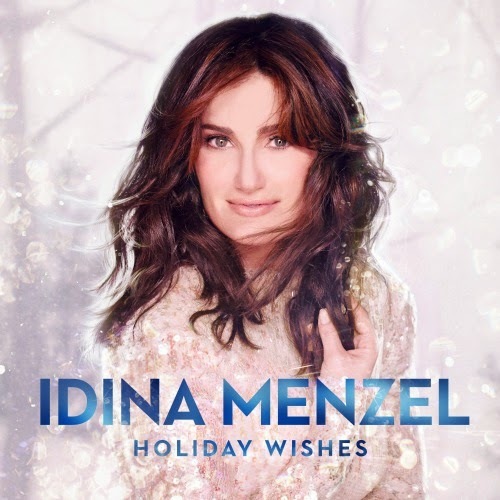 You can order Idina Menzel's Holiday Wishes from iTunes and Amazon! Another highlight is a duet with international superstar Michael Bublé on “Baby It’s Cold Outside.” An exclusive Target edition of Holiday Wishes features two bonus tracks, including “Let It Snow! Let It Snow! Let It Snow!”.